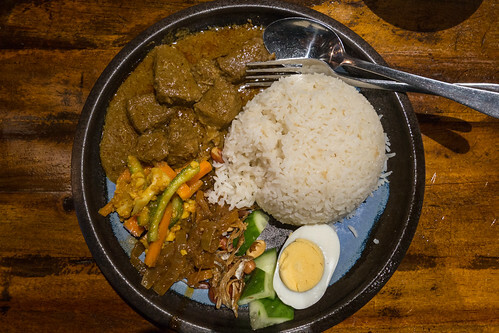 Located in Bayswater, Junior Tan Hawker Kitchen adds to your list of Malaysian restaurants to choose from in Victoria. The decor inside Junior Tan has this colourful 1920’s Chinese era imagery on the walls that I haven’t see done before. On their menu, some of the items have a slight twist to it like Eggplant chips, Balachan chic-a-wings or even a ‘Malaysian’ burger. However, they do also offer the more traditional dishes such as Nasi Lemak, Laksa, Char Kway Teow and Nasi Goreng. Junior Tan’s Nasi Lemak looked quite appealing, it had all the essential parts to a good Nasi Lemak. However, I found the beef in the curry to be very tough, presumably not cooked long enough. The sambal was also a bit average, it doesn’t quite have that punch of flavour and spice. 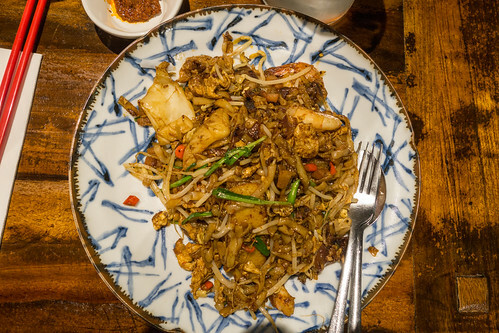 The Char Kway Teow had a lovely wok flavour, and spiciness! Although, it was overly oily and wet as a result and the choice of the thin noodles I felt was a bit of an odd choice but overall I was quite happy with it. Junior Tan’s Murtabak had this nice crispy exterior and flavourful filling. 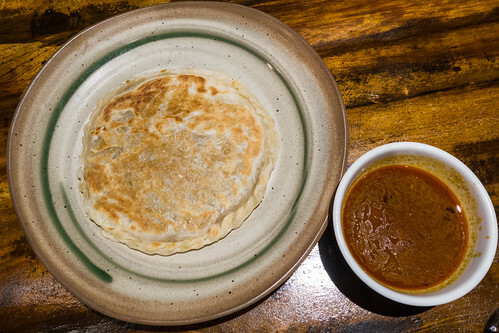 The curry sauce had just enough creaminess and spice to it, and goes well with the murtabak. My only con with it, is that is looks very barebones (styling is leaves a lot to be desired). 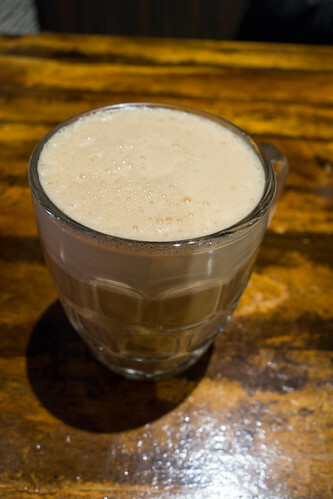 Still on my mission to try all the Teh Tarik’s around Melbourne, so how does Junior Tan’s drink stack up? Well, it has that lovely foamy top that is very essential to a good Teh Tarik. A tad too sweet for my liking but tea flavour is just strong enough with the condensed milk. If I were around these parts of town, Junior Tan would probably be high on my list of places to dine at. However, is it worth the extra effort? Not particularly for me, when there are plentiful of choices around me and in the CBD but as I usually say it’s worth a try.